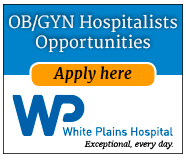 Seeking A OBGYN Hospitalist To Provide OB Care To Patients Of The OB Hospitalist Service, Which Include But Not Limited To No-Doc And MFM Admitted Patients. Care Will Include Triage, Intrapartum, Antepartum, Postpartum, And Emergency Management. To Provide OB Care To L&D Patients When Requested By The Primary Attending Of The Patient. To Provide Emergency OB Care To L&D Patients When The Primary Attending Is Not Available. Be Available To Assist With C-Sections Or Other Procedures Performed On L&D When Requested By The Primary Attending And Not Attending To Other Clinical Responsibilities. To Triage All Patient That Present To L&D. If A Patient Needs Admission, The Patient’s Primary Provider Will Be Contacted And He/She Will Assume Care. To Provide Back-Up OB Care To UIC Family Medicine Patients. To Provide Supervision Of Residents And Medical Students During L&D Rotation. Work Periods Will Be 12 Or 24 Hour Shifts. OB Hospitalist Service Consists Of No-Doc OB Patients, High Risk MFM Patients With MFM Consulting, And UIC Family Medicine Patients Requiring OB Management. Face To Face Hand Off Is Required. Outpatient Follow-Up To Be Coordinated Prior To Discharge. When OB Hospitalist Is Involved In Patient Care That Limits Their Ability To Meet Other Job Requirements, A Back-Up OB Provider Will Be Called. More Money And Low Cost Of Living. Enjoy A Starting Salary Of Up To $75,000 More Than Major Metro Areas, Along With A Cost Of Living At Least 30% Lower. You Will Gain A Significant Financial Advantage For Paying Off Student Loans, Buying A Home, And Planning For Your Future. Erie is a Federally Qualified Health Center (FQHC) that believes health care is a human right. We provide service to 75,000 medical and 12,500 dental patients across 13 locations in the city and suburbs. We have pioneered an integrated service model that offers pregnant women, babies, children, teens, adult men and women, and seniors comprehensive primary care—including medical, dental and behavioral health—all under one roof. Patient care does not end when the office visit is over. Erie is one of our nation’s premier community health centers; we have won awards for the quality of our service and are considered a national leader. Erie is a great place to work; named five times by the Chicago Tribune, as one of the Top Workplaces in Chicago. Malpractice covered through Federal Tort Claims Act – no tail, ever! Stability and longevity. Erie has provided high quality health care to those in need since 1957. Today we serve close to 70,000 patients each year through 280,000 patient visits. Professional, mission-driven environment. You will work with ateam of top notch healthcare professionals committed to providing high-quality, compassionate care for people in need. Commitment to Quality. Erie is accredited by the Joint Commission and has been recognized by the US Health Resources and Services Administration as a Health Center Quality Leader. Visit http://www.eriefamilyhealth.org/careers2/to view our positions and apply. OB Hospitalist – Advocate Lutheran General Hospital Park Ridge, IL Advocate Lutheran General Hospital, a 645-bed non-profit teaching hospital located in the Chicago suburb of Park Ridge, is seeking OB Hospitalists to join our team. Resident interaction Lutheran General Hospital is a member of Advocate Health Care, Illinois’ largest health care system and one of the nation’s Top 10 Health Care systems; U.S. News & World Report has named Lutheran General Hospital a 2018-2019 Best Regional Hospital. 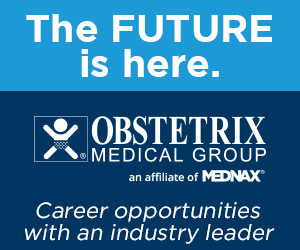 TeamHealth has an excellent opportunity for a PRN Physician to join our existing OB/Gyn Hospitalist team at MacNeal Hospital in Berwyn, Illinois. Work with an established, friendly, high-caliber team of professionals. Wonderful supplemental opportunity - provide 24-hour in-house coverage as needed, as you're available. The ideal candidate will be Board Certified, able to demonstrate clinical excellence with superior communication skills, and have a focus on providing quality care placing the patient above all other considerations. 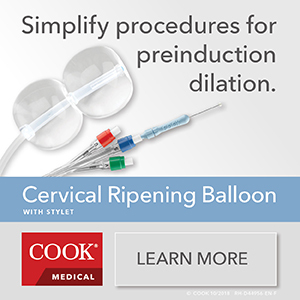 Qualifications also include active and current skills in the full breadth of the OB/Gyn specialty, at least 3 years of active practice and a current Illinois license to practice. Other requirements include a willingness to drive patient safety and quality initiatives as required by the TeamHealth Patient Safety Organization, insurability for malpractice insurance, and a successful track record. 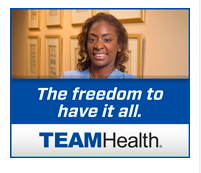 TeamHealth is the industry leader in providing integrated hospital-based services offering competitive pay and professional liability insurance with tail coverage. 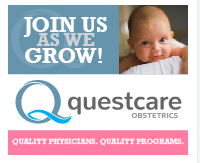 Questcare Obstetrics, a division of Envision Physician Services, is seeking quality full-time and part-time board-certified Ob/Gyn hospitalist candidates for two (2) physician-led programs in Northwest Illinois: Centegra Hospital-Huntley and Centegra Hospital-McHenry, both part of the state-of-the-art Centegra Health System. Pursue your passion for Ob/Gyn hospital medicine with Questcare. We provide an environment that fosters growth, advancement and continuing education. Our physicians enjoy competitive compensation, comprehensive benefits, flexible schedules, paid malpractice premiums and much more all backed by an exceptional quality of practice. Centegra HealthSystem is three hospital system located in Northern Illinois. Centegra Hospital Huntley opened in August of 2016 and is a 128-bed, 360,000 sq. ft. community hospital providing robust services with a unwavering commitment to women’s health & pediatrics. Located in the diverse and beautiful Northwest region of Chicagoland, with easy access via I-90, McHenry County offers a change of pace from the urban environment. From galleries and skiing/snowboarding to railroad museums and golf courses, McHenry County is a great place to live and work. Rush University Medical Center, located in downtown Chicago, is a national leader in academic medicine. The Department of Obstetrics and Gynecology is actively seeking full time inpatient Obstetricians to join a vibrant service and team of OB sub-specialists and generalists. The Department is starting a new hospitalist group and will be the only inpatient, academic OB hospitalist group in the city. Candidates will have the opportunity to participate in developing an innovative service at Rush being hands-on to develop a new structure to how care is provided to all OB/Gyn patients. In addition, candidates will have opportunity for involvement in gyn call and minor gyn procedures as well as opportunities to participate in research and teaching. This position will work on average 3 shifts per week, with the opportunity to add additional shifts for supplemental income, as available. Candidates should be BC/BE with a proven commitment to clinical service as well as training residents and students. Qualified applicants should be eligible for faculty appointment at the Assistant Professor level. In March 2014, marked the opening of the new Rush Family Birth Center which is designed with four key care concepts - to provide adjacency, privacy, family space and mother baby bonding. The new center has large, individual rooms to keep moms, babies and families together throughout their journey. Rush is one of the few hospitals in Illinois with labor and delivery services (which includes operating rooms) right next to the NICU and our team of specialists, so when newborn babies are in crisis and seconds count, they can get the care they need. 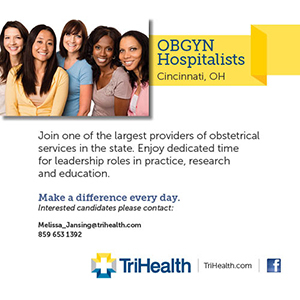 NORTHWESTERN MEDICAL GROUP OB TRIAGE HOSPITALIST The Department of Obstetrics and Gynecology at Northwestern Medical Group is recruiting a full-time OB Triage Hospitalist to expand our program at Prentice Women’s Hospital. As a provider within our innovative OB Triage service, you will deliver patient care at one of the nation's largest and most respected women's hospitals. We offer a highly competitive salary and outstanding benefits. The NMG OB Triage Hospitalist role supports safe and effective care by implementing 24/7 physician involvement in the clinical activities of the Obstetrics Triage Unit. In addition to labor evaluation, the OB Triage Unit cares for all pregnant women who have a documented intrauterine pregnancy for both obstetrical and medical problems and provides obstetrical consultations for women who initially present to the hospital’s ED. 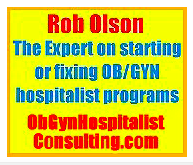 The OB Triage hospitalist also staffs emergency gynecology consults of unassigned patients and backs-up the gynecology surgery attending on-call as needed during evening and weekend shifts. Work Requirements: The Full-time OB Triage hospitalist position provides coverage for three 12-hour shifts per week changing at 7AM &7PM, involving a mix of weekday and weekend day and night shifts. Although a full-time position is preferred, a part-time position, covering two 12-hour shifts per week may be negotiated. Description: Desire full time or part time OB hospitalist position in Chicago land area. Dr. Jobanputra can be contacted at [email protected] or phone 224 558 6868.